Make a dramatic impact in any room with Elite Smart Shades™. Our automated window treatments not only add the perfect finishing touch to your décor, they provide convenient control. No matter how exceptional your style or space, we offer a wide range of interior shading solutions in an array of styles and materials. Whether you need a complete automated window treatment solution, or custom shades that are compatible with your home’s current automation system, Elite Smart Shades™ will deliver a solution that allows you to adjust natural daylight and privacy with just a touch of a button from your smartphone, tablet or remote control. For a more comfortable home, improved security and privacy, and reduced energy costs, choose Elite Smart Shades™ to enhance your living space and your lifestyle. Why choose Elite Smart Shades™? Avoid manually adjusting heavy blinds or awkwardly reaching over furniture to eliminate glare. Open and close your shades and tilt your blinds with just the touch of a button. Elite Smart Shades™ are made to measure for your specific windows.  The result is a seamless, perfect fit. Your Elite Smart Shades™ can be set to open and close automatically at a certain time of day1. Whether or not you’re at home, your house will look occupied and well cared for. 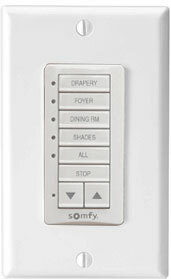 1 Requires additional hardware: Somfy® MyLink™ app, Somfy® RTS timer remote, or 3rd party apps and hardware. Program your Elite Smart Shades™ to close automatically when temperatures rise, lowering your energy bills and creating an environmentally responsible home2. 2 Requires RTS Sun & Temperature Sensor. Our automated window coverings are available with a variety of control options – including wireless control from your smartphone. With no cords, motorized window shades and blinds are safe for children and pets. That means a comfortable and worry-free living space is always at your fingertips. Elite Smart Shades™ look newer, longer. That’s because damage to window coverings caused by manual wear-and-tear is reduced when you opt for automation. When paired with our sun sensors, our shades automatically lower to protect your furnishings from the sun’s UV rays. When you purchase your Elite Smart Shades™ from one of our experienced Certified Automation Specialists, you'll have expert care and support in every stage of your purchase - from consultation to installation. Our Automation Specialists are trained to help you choose the right shades for any space in your home. 1. How do I select the best shading option for my house? i. How much privacy do you want? Some shades filter out light, while others block light completely, so it is important to consider the level of privacy desired when choosing a type of shade and shade fabric. ii. What is the style and décor of your home? The colour and style of the shade should complement the décor of your home. iii. What style of window are you covering? The size and shape of your window(s) will affect your options. Your Elite Smart Shades™ dealer has the expertise and the training necessary to help you choose an option that best fits your home and your lifestyle. 2. How much will it cost to install Elite Smart Shades™ in my home? i. Size and number of windows being shaded. ii. The type and quality of fabric or material. iii. Control and power options. The best way to get an estimate for your space is to request a quote from an Elite Smart Shades™ dealer. 3. Are Elite Smart Shades™ compatible with other home automation systems? Yes, Elite Smart Shades™ are fully compatible with leading smart home automation control systems. Elite Smart Shades™ can be integrated into a home automation system that uses industry standard home automation protocols like Zigbee® or Z-Wave® for wireless communication or RS485/232 protocol for wired communication. Compatible brands include (but are not limited to): Somfy, Crestron, Lutron, Control4, Savant, RTI, URC, Honeywell, Logitech, Wink and others. 4. How do I program my shades? Your shades come pre-programmed from our factory according to the size of your windows. After installation, your Elite Automation Specialist can adjust any height settings if necessary, so there is no need for you to program or re-program your shades. If you are connecting your shades to your home automation system, please consult with your automation system vendor for proper integration procedures. 5. What is the full range of colour options? There are dozens of styles of shades and blinds to choose from, as well as hundreds of fabric options. That means we can help you find a window treatment that reflects your unique style. Contact your Elite Smart Shades™ dealer to see samples and get an in-home or in-store consultation to determine which styles and colours are best for your home. 6. If I order battery-powered shades, how long do the batteries last? i. The size and weight of your window shades. ii. How often you adjust the shades. iii. The quality of the battery (Elite recommends Lithium batteries for optimal performance). Your Somfy battery tube is also covered under our warranty. 7. How can I be sure that the shades will fit my window(s)? Elite Smart Shades™ are custom tailored to fit your windows. Our dealers expertly measure and professionally install your shades, so you can have confidence your shades will fit and work well with your windows. 8. I have small children and safety is a major concern for me. Do Elite Smart Shades™ create any safety hazards I should be aware of? Automated shades are safe for children because they are cordless. As a result, Elite Smart Shades™ eliminate choking hazards caused by dangling cords. 9. Do automated shades require maintenance? If so, how often? Automated shades normally do not require any maintenance over the product’s normal lifespan. Should you have any concerns about the functioning of your automated shade system after installation, your Elite Smart Shades™ dealer is happy to help. 10. How do I clean my automated shades? For minor cleaning, use a duster to remove dust or dab with a damp cloth. Avoid using cleaning agents or other chemicals that may damage the fabric. For major cleaning, Elite recommends using the cleaning services offered by your Elite Smart Shades™ dealer. 11. What is the maximum range for RTS remote controls? 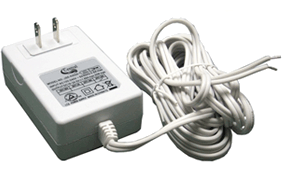 For reliable signal strength, your RTS transmitter (i.e. a remote control) must be within a 65-foot radius of the shade motor. If you have a question that’s not answered above, contact a dealer near you to discuss your project with one of our experts. Your Elite Smart Shades™ come with a five-year limited warranty that covers all motors and controls. Should anything go wrong with your home automation system simply contact the original dealer of your Elite Smart Shades™ system and they will be ready to assist. In 1967 we opened our doors as a family owned drapery store on Bathurst Street, just south of Wilson Avenue in Toronto. We built our brand by sewing, stitching and installing custom drapes for homes and businesses in the surrounding neighbourhoods. Since then, we’ve grown into a leading manufacturer and wholesaler of custom window coverings, serving the entire Canadian market. Since then, our reputation for innovation and excellence is built on decades of introducing unique, stylish, and high quality window treatments into Canadian homes, over the years we’ve added dozens of window treatment products and styles to our collection. Our current facility is located in Concord, Ontario just north of Toronto and we are still family owned and operated. Our success is based on providing our customers with the same care and dedication that has been our trademark since we opened our doors on Bathurst Street, almost 50 years ago. Enter your postal code to find an authorized Elite Smart Shades™ dealer near you. Sorry, there are currently no dealers located close to your location. A division of Elite Vertical Blinds Mfg. Co. Ltd.